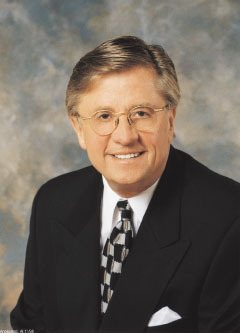 Al Annexstad is Chairman Emeritus of Owatonna, Minnesota-based Federated Insurance Companies, one of our nation’s largest mutual multi-line insurers. However, an inspiring story of grit and graciousness precedes Al’s extraordinary business career. Unfortunately, when Al was only five, his father Sanford suffered a fatal heart attack. His mother Alice tried to keep the dairy operation going, but after a year she and her children were exhausted and overwhelmed. She sold the farm, paid down her debts, and moved her children into a tiny house in St. Peter. Al remembers his youth in St. Peter as being in many ways a place of salvation. His family was embraced by their small community. The parents of his friends took an interest in the young, fatherless boy, spending quality time with him in family activities. When he was nine, Al took on a paper route that required him to deliver 110 papers each Sunday. He needed a bicycle for the job and went alone to see the owner of the local hardware store, Bill Francis, to work out a deal. He explained why he required a bicycle and Mr. Francis told him he could take one of his bikes that day if he came to the store each Saturday for a year with a $1 payment. They shook hands and Al honored the arrangement, recalling fondly how proud he was the day he delivered the last dollar. Early in Al’s life his mother told him if he desired success in life that he would have to achieve it on his own. From the age of 10 he worked to pay for most of his own expenses. In his teen years he delivered milk for a local dairy and picked and shucked corn for area farmers. He often worked alongside his mother in the college cafeteria, mopping floors, washing dishes and clearing tables. Later, he worked his summers in construction. Al joined Federated Insurance Companies as a sales representative in his hometown of St. Peter. His tenacious work ethic, combined with an uncanny feel for the world of business, quickly led to enormous success. Multiple promotions followed over a career that would eventually span over 48 years, highlighted by his appointment as the company’s chief executive in 1999 and Chairman a year later. After he took over the reins of leadership, Federated experienced unprecedented growth and reached a position of superior financial strength. Al has been credited with developing numerous strategies and opportunities that led Federated from being a modestly successful regional company to a prominent national insurance organization. At the end of his career he was recognized as the executive who singularly had had the most profound impact upon the organization’s 100-plus year history. Today, Al proudly boasts that marrying his high school sweetheart Cathy has been his greatest accomplishment in life. For her part, Cathy shared some of the same personal challenges that Al faced in his youth. When she was 16 Cathy lost her mother in a tragic automobile accident. During the difficult years that followed, Cathy was embraced by her family and the good people of her hometown, Le Sueur, Minnesota, located a half hour’s drive north of St. Peter. Like Al, she will never forget the kindness that was extended to her. Al and Cathy met as teenagers and have been a team ever since. The Annexstad Family Foundation was established in 2000 with the mission of providing college scholarships to deserving young people who have overcome challenging circumstances in their young lives. The scholarship program focuses on helping these students continue on paths to productive citizenship, something many would otherwise have a much more difficult time attaining. In 2005, Al was recognized by the Minnesota Business Partnership for his contributions to youth mentoring with the organization’s Lifetime Achievement Award. In 2006, he and Cathy received the highest honor from Big Brothers Big Sisters of the Greater Twin Cities, one of our nation’s oldest and largest Big Brothers Big Sisters agencies. The Jim Kelly Distinguished Service Award recognized the Annexstad family’s extraordinary contributions to the cause of youth mentoring. Most notably, in 2010, Al was the recipient of the Horatio Alger Award, one of America’s highest civilian honors, given in recognition of his inspiring life story of achieving personal and professional success despite humble and challenging beginnings. Today, Al serves on the Executive Committee of the Horatio Alger Association of Distinguished Americans. Al is a member of the Board of Trustees at Gustavus Adolphus College in St. Peter, Minnesota. In 2005, the College bestowed upon him an honorary doctorate degree to recognize his lifetime achievements and contributions to the College and to the greater society. In recent years, his alma mater Minnesota State University named him a Distinguished Alumnus, the institution’s highest honor of achievement. In 2012, both Al and Cathy received honorary doctorate degrees from Minnesota State University in recognition for their contributions to humankind, only the third time such honors have been conferred in the 144 year history of the institution. Also in that year the Annexstad family raised the bar significantly in their effort to position higher education as a catalyst for positive change in America. They launched the Leaders for Tomorrow national scholarship program as a forthright investment in the nation’s future. In the years ahead the program will represent the primary focus of the Foundation’s mission. In this latter effort the Annexstad Family Foundation is partnering with over 25 of our nation’s most prestigious colleges and universities to help exceptionally promising students from extraordinarily challenging backgrounds lay the foundation for careers of remarkable achievement and contribution to America. To date, nearly 500 Annexstad scholars have received college scholarhips that will help assure that they earn an undergraduate degree as free from debt as possible. Indeed, the foundation is well on its way toward achieving the Annexstads’ goal of sending 1000 young people to college. And most notably, the Annexstad Family Foundation proudly points to a nearly 90 per cent graduation rate among scholarship recipients, an extraordinary achievement when one considers that the overwhelming majority of Annexstad scholars are first generation college students. Today, Annexstad graduates are successfully pursuing careers in several critical fields, including medicine, business, science, engineering and law. At the end of that year Al retired from the Federated Insurance. Looking back, Al unquestionably made a profound impact upon the fortunes of the Federated organization. Because of his countless contributions to Federated and to the extraordinary financial standing with which he had elevated the Companies, Federated’s board of directors bestowed the honorary title of Chairman Emeritus upon him following his retirement. Al and Cathy have entered this next chapters in their lives in full stride. Al has agreed to serve on the Board of Governors of the Eisenhower Medical Center Foundation in Palm Springs, California. Most importantly, however, both Al and Cathy are focusing their attention upon advancing the noble mission of the Annexstad Family Foundation. Along the way they are spending as much time as possible with their family and the many, many close friends they have been honored to make. 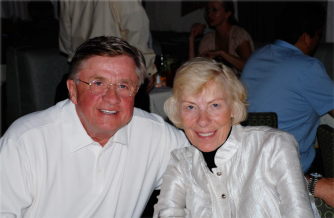 The Annexstads have a daughter Patti and a son, Tom, who represent the second generation of family foundation board members. Likewise, Al and Cathy point with great pride to their grandchildren, Morgan, Mackenzi, Maggie, Shane, Kaci and Blake, all of whom have taken their places as the third generation of family members to serve on the Board of Directors of the Annexstad Family Foundation.